One of the hardest decisions to make as a Naples homeowner is whether you should repair or replace key appliances in your home, such as your air conditioner. 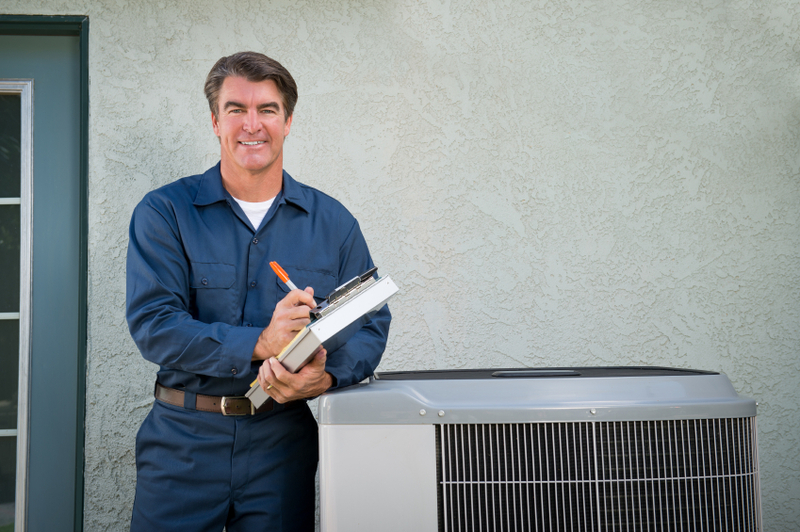 Hiring an HVAC company to assess the condition of your cooling system is a good idea if you need to determine if repair costs are less than or greater than the cost of a new air conditioning installation. Although the choice is ultimately up to you, sometimes replacing your air conditioner is wiser than repairing several damaged components. You Should Install a New Air Conditioner If . . . Repairing Your Air Conditioner Is Too Expensive – If repair costs are exorbitant, then purchasing a new air conditioner may make more sense. Generally, new air conditioners cost $5,000 to $7,000, so if the cost of your AC repair multiplied by the AC unit's age is greater than the cost of a new air conditioner, then you should schedule an air conditioning replacement with your HVAC company. Your Energy Bill Is Increasing – If your cooling system isn't working as well as it used to, you should start setting aside some money to fund your air conditioner replacement. An inefficient cooling system will get worse over time, and you'll be appalled by the rising energy costs. Besides high energy bills, you'll notice that your air conditioner is incompetent by the accumulation of dust, allergens, and air pollutants in your home. The Temperature in Your Home Is Not Comfortable – An inefficient cooling system will struggle to match your home's optimal temperature during the warm months, so if you find yourself adjusting the thermostat multiple times a day to try to cool your home, then replacing your AC unit is advised. Additionally, if your air conditioner can't manage to control the temperature and humidity levels, then you may face other problems such as mold and mildew growth and swollen woodwork in your home. Your Air Conditioner Is Over 10 Years Old – Hiring an HVAC company to install a new air conditioner is definitely recommended if your air conditioner is greater than 10 years old. Well-maintained air conditioners can last up to 15 years, but their efficiency will decrease as they age. If you're hesitant to spend money on an air conditioner replacement, just remember that updating this appliance will be in an investment in your home that will pay off if you plan to put your house on the market in the near future. Once you've decided to schedule an air conditioning installation to improve the efficiency of the cooling system in your Naples home, make sure you work with an experienced HVAC company like Bowen Cooling.